Going into a dealership to buy a car without knowing your score is a dangerous (and costly) thing to do. The quickest way to find out your credit worthiness is to apply for a loan at a local credit union or your bank, not by asking the dealership to do it. Applying (and being approved by) at a Credit Union or Bank will let you know your approval level (tier one, tier two, etc) and will give you leverage when you are at the dealership and they are checking your credit. If there are issues with your credit you will also be able to review the report and take action to improve your score. I recommend if you are in a posy ion to wait, get that score up and buy the car at a lower rate. Patience is generally your best friend when buying a car. Many dealerships have something called "pack". This is a number (dollars) that is added to their actual cost to give a new higher price that is then referred to as their "cost". So if a dealership is promising to sell something at "cost" or $100-$200 over "cost", find out what "cost" is. Is it actually what the dealership paid for the item (and that item could be anything from an extended warranty contract to the vehicle) or is it the cost of the item after they have added "pack" to it? "Pack" is just additional dealership profit. Want to find out what true cost is? Spend some time on the internet and do your homework before you visit the dealership. I just saved a client $1,000 on a service contract (extended warranty) by doing just that. 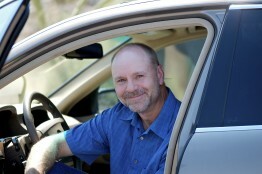 Licensed auto broker with the Arizona Department of Transportation, Motor Vehicle Division, License Number L00011796. Vehicle Purchasing Services offers specialized fleet services. We have developed strong partnerships with some of the largest dealers in Arizona. We can help you determine the best type of vehicle to suit your business needs, and help you find the best deals.